New research by Aquafresh® suggests that teaching children good oral hygiene habits is stressful for parents. According to this study, more than one million children under the age of five have two or more fillings. A quarter of the parents interviewed said that their children only brush their teeth once a day and visit the dentist only once every two years. Parents say that getting their children to brush is extremely stressful and that visiting the dentist leaves them feeling judged when their child has a cavity. Some said they are just plain embarrassed about the condition of their child’s mouth. 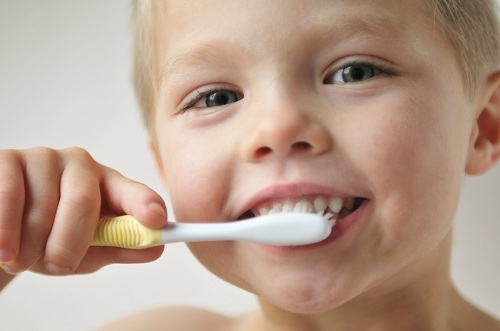 So, what can be done to make brushing easier on both parents and children? Below are eight ways to encourage kids to brush and make brushing time not only easier but even a little fun!